Welcome to the south St. Louis eye doctor's office of Rosen Optometry! Our eye doctors, Karen and Steve Rosen, and eye care staff are here to care for all of your vision needs. We handle everything from adult and children's eye exams and hard-to-fit contact lenses, to eye emergencies, treatment of eye diseases and co-management of eye surgery such as LASIK. By staying current with the latest developments in eye care, prescription lenses and advances in contact lens technology our South St. Louis vision center can provide you with the best vision, advice and fit today—and in the years to come. We take pride in building lasting relationships with our patients, which is why we take the time to get to know you, your vision requirements and your lifestyle needs. Contact our eye care clinic today to find out how we can help. 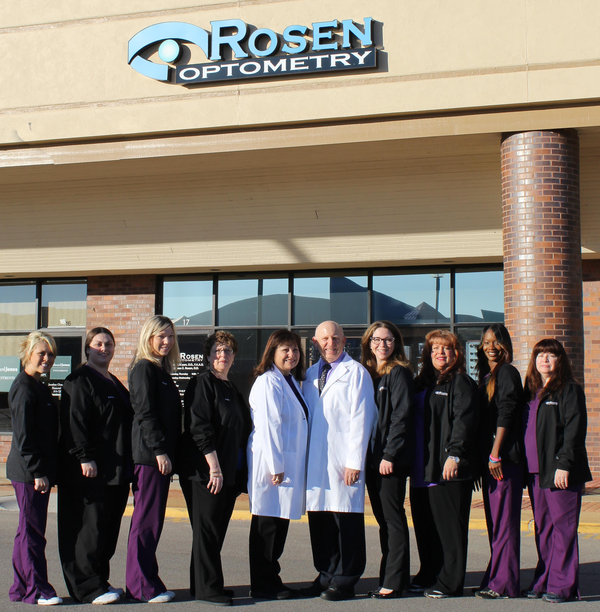 See what some of our patients have to say about Rosen Optometry! We offer a vast array of eyecare videos that spotlighting everything from eye conditions and diseases to eye exams, watch them! Purchase your contacts lenses or solution online! We also have online stores for various vitamin products! Please take a moment and let us know how your visit went. Thank you!